What lies behind these doors - joy or sadness? Ask us to take a look before you receive the key. We hear this regularly after conducting inspections for our clients, whether it is a Full Home Inspection, Basic Essential Inspection, Snag List Inspection, Damp, Crack or Roof Inspection, or whether we do Construction Quality Control Inspections. Our knowledge and experience makes all the difference! We are the only Property Inspection company in South Africa with 2 ITC Certified Roof Inspectors and substantial construction experience. Our reports are not done according to a template. Each and every inspection is tailored to meet the needs of our clients and the properties we review. Do not buy a house before we have done a thorough inspection for you, it is a lot cheaper than incurring any legal fees after you have taken ownership of the property. We will detect most of the potential nightmares that may occur to make your dream home a reality. We don’t only point out the potential problems with the house you purchase, we educate our clients on the necessary maintenance, how to do it and when. It is important to us that our clients know how to protect their most expensive investment. When compiling snag lists, we can draw our client’s attention to problems that may arise in the future due to construction errors made by the contractor. We draw your attention to legislation, making it impossible for the contractor to dispute any errors. As a Property Inspection company, we will represent you in meetings with The National Home Builders Registration Council (NHBRC), should it come to that. We regularly do due-diligence inspections for Commercial and Industrial clients, as well as maintenance inspections, and assisting clients in planning their maintenance. 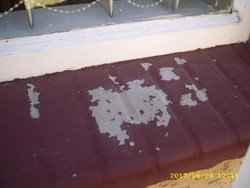 Sectional Title complexes need to have a 10-year maintenance plan in place, and our reports both illustrate the necessary maintenance as well as providing a future plan with the costs these may incur. We check the outside of the house, get on top of the roof and into the ceiling, open all the cupboards and flush all the toilets. You receive a detailed written and photographic report explaining exactly what is wrong and which legislation has been contravened. 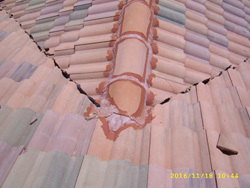 We focus the inspection only on those specific issues: CRACKS, DAMP, ROOF, or WHATEVER ISSUE is of concern to you. if an entry inspection was done. We do entry and exit inspection on all residential and commercial buildings. 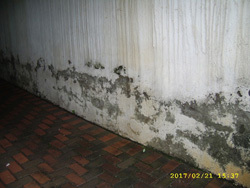 The impression the house makes and report on whether regular maintenance has been done. 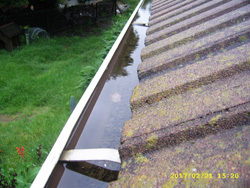 We check the stormwater management and then check for cracks and damp and check the roof. If you don’t want to sweat the small stuff, like a leaking tap or loose hinge, this is the inspection for you. We are the only property inspection company in South Africa with two ITC Certified Roof Inspectors on staff who can issue you an ITC-certified certificate on your new roof. We will check everything and report on when maintenance will be due. If required, we can draw up a 10-year maintenance plan with costs and a maintenance schedule. If plans and the title deeds are provided, we will confirm the buildings are built according to plan and report on any concerns in the title deed. When we do a maintenance inspection you can choose if you only want the outside items listed or the inside of the house as well. We will report on when and how maintenance should be done. If necessary, a maintenance plan with costs can be submitted. We have construction experience and can advise on problems that will develop in the future because of errors made by the builder. 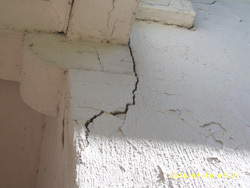 When your house is 12 – 18 months old and problems develop, some builders refuse to repair them, forcing you to take the legal route, which is far costlier than a Snag List inspection. We also check if building was done according to the original plans. If Occupation Certificates were issued in error, we'll assist in laying complaints with the Building Control and Municipal Managers. 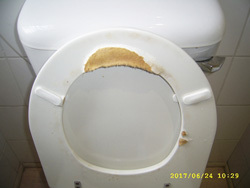 This causes issues to develop after the 3 month snag period. 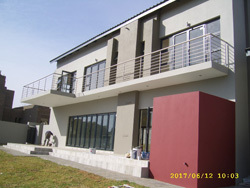 We will do construction quality control inspections and authorise payments to the contractor. We draw up a report listing all the items which are the body corporate’s responsibility. 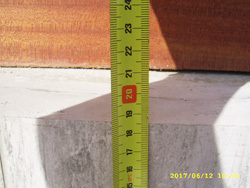 We measure the items and grade them and advise on when and how regular maintenance must be done on each item. We provide a schedule of cost of the 10-year plan. 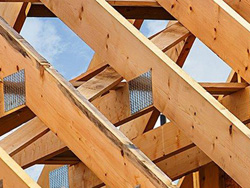 With our in-depth construction experience, we provide detailed reports and advise on construction errors that will cause problems and how to repair them. 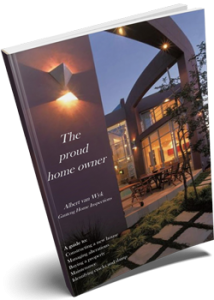 "No home owner should build a new house or do alterations without this book".